The Airborne Goblin 29 is budget friendly at $1300, including full Shimano SLX group and Sun Ringle Black Flag Comp wheels. 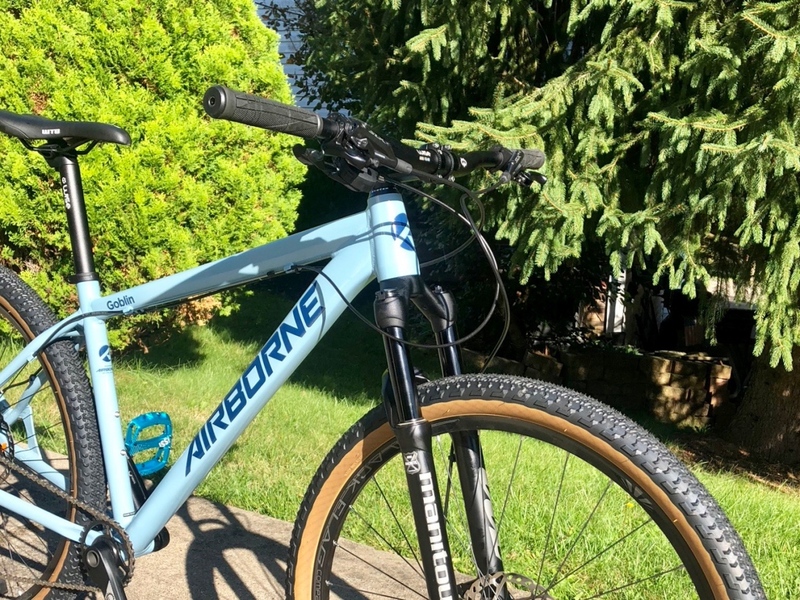 The Airborne Goblin 29 is an affordable alloy hardtail mountain bike with a great price and solid component spec. Features include thru axles front and rear, a full Shimano SLX drivetrain, and Manitou Machete Comp 100mm travel fork. Available sizes are 16”, 18”, and 20”. There is something whimsical about an aluminum hardtail. Riding one brings me back to my early racing years when I was brimming with excitement to bang bars and charge climbs with the lead group. The Airborne Goblin 29 rekindled that love of alloy. It’s a true XC race machine with modern geometry and a classic feel. The 11-46 cassette delivers plenty of gear range. Sold consumer direct, the Airborne Goblin 29 is prepped and nearly ready to ride right out of the box that’s delivered to your door. Airborne prides itself on a seamless direct-to-consumer buying experience. Building the Goblin 29 is simple. All I needed to do was mount the stem, set the bars, and install pedals. My only gripe was that the medium build comes with an 100mm stem and setback seatpost. Pair that with the 615mm top tube and you have a long reach, which in turn compromises how the Airborne Goblin 29 rides. 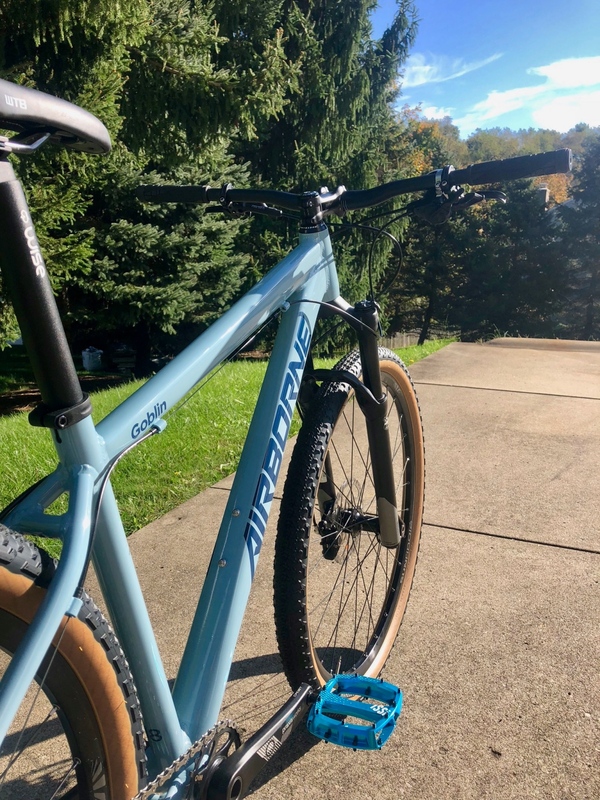 I swapped out the stock stem with an 80mm to better accommodate my preferred fit and ride style and felt much more at home. The steep 71.5-degree headtube angle delivers sharp and precise steering. Where the Goblin 29 truly shines is the build value. For just $1300 you get a full Shimano SLX drivetrain and Sun Ringle Black Flag Comp wheels that are light enough to race — and sturdy enough to shred. The frame is made from 6061 aluminum and has a tapered head tube. Hub spacing is 12×142 thru axle, and suspension is handled by an 100mm Manitou Machete Comp fork with manual lockout. Gearing is plenty wide, thanks to a 1×11 set-up with a 30t chainring and 11-46 cassette. On the trail, the Goblin rolls fast in tight sections and is snappy out of corners. 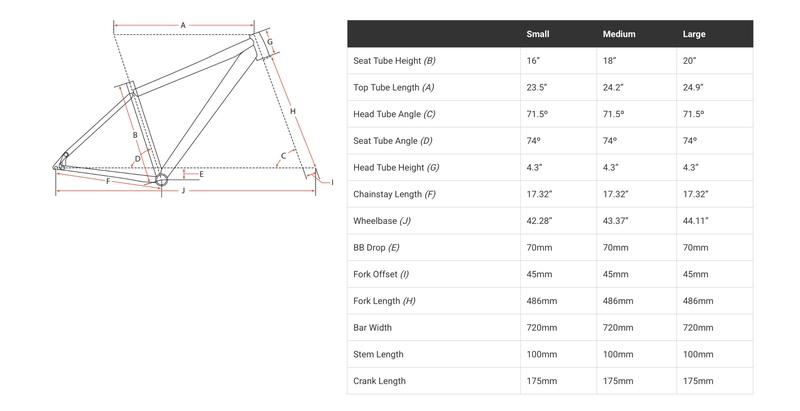 I attribute this to a short rear end (chainstays are 440mm) and steep 71.5-degree headtube angle. 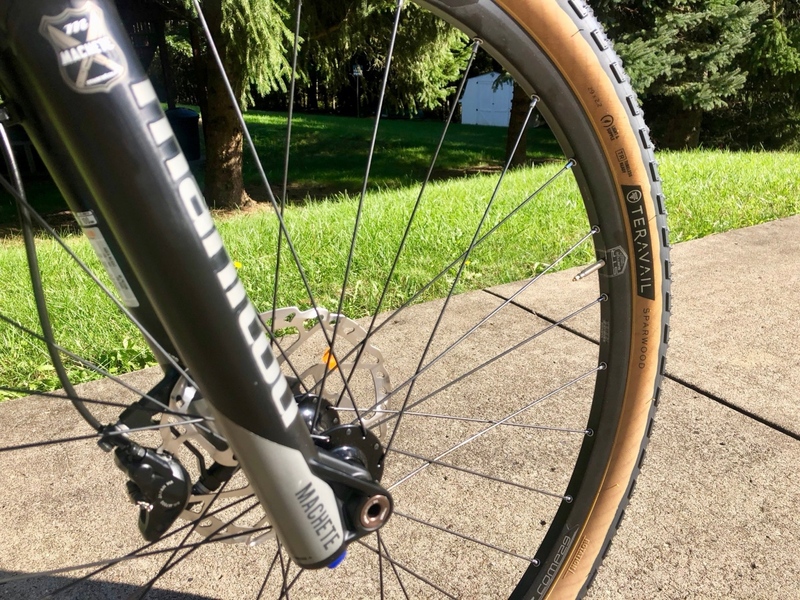 The quick rolling can be attributed to the WTB 29×2.0 tires, though overall we’d prefer something with a little more girth. Indeed, I switched them out for the similarly hardpack friendly Teravail Sparwood 29×2.2. That extra volume, though slight, was enough to soften up the ride of the Goblin 29. Overall, I enjoyed the predictable handling and good-natured feeling that the Airborne Goblin 29 offers. 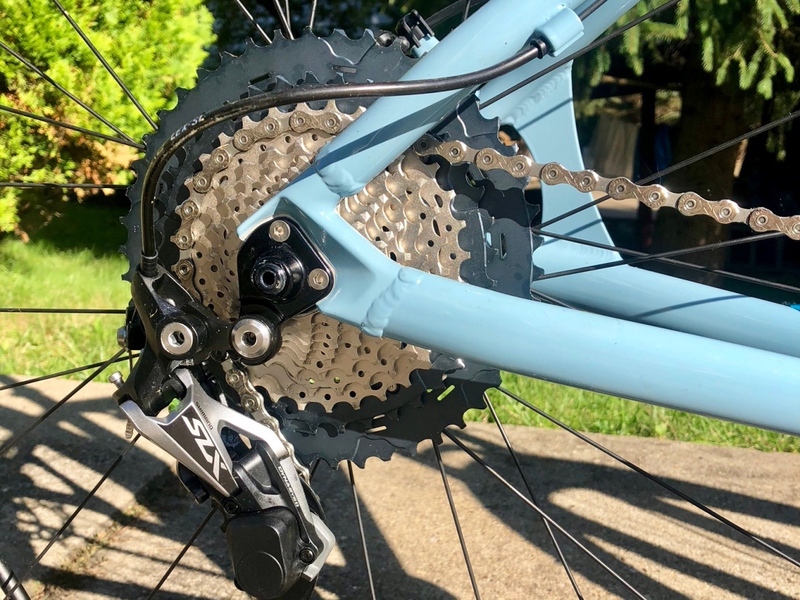 The hum of the alloy underneath me is comforting and familiar, while the Shimano SLX brakes perform nearly as well as the XTRs that I’m more accustomed to. And the rotors (180mmfront/160mm rear) deliver enough power to stop a bull, let alone a dude in Lycra bombing down a hill. 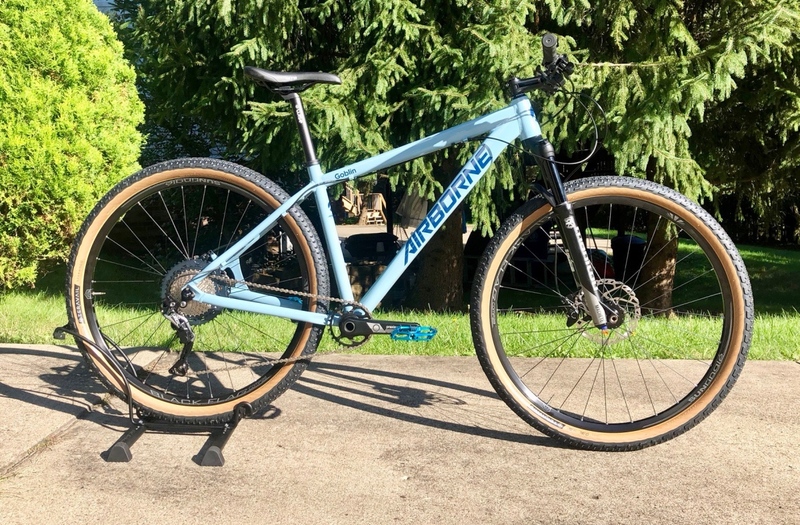 And though the Airborne Goblin 29 is designed for singletrack, I also found it well suited for touring and gravel grinding thanks to the stiff frame and climbing-friendly geometry. Bottom line, for anyone interested in a do-it-all budget mountain bike, the Airborne Goblin 29 is worth a look. Here’s the geo chart. Click the image to enlarge. 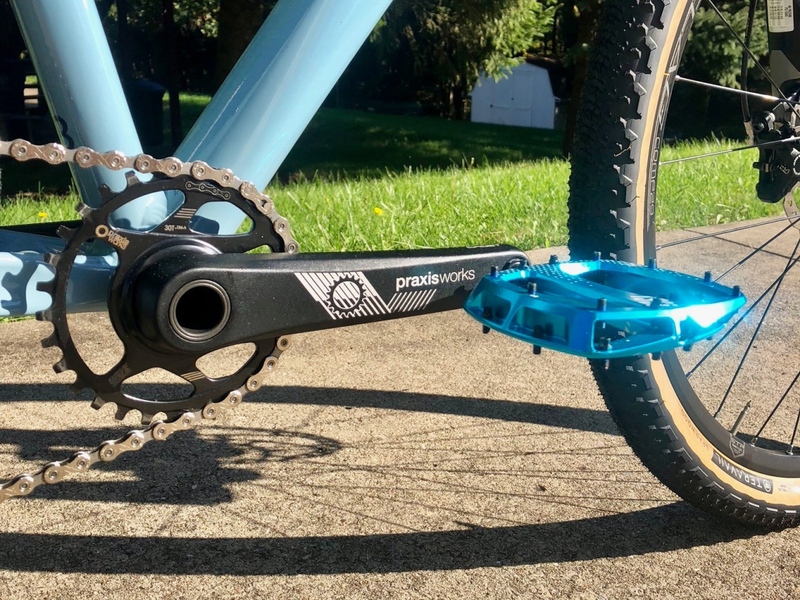 Stock spec includes a 1×11 SLX drivetrain and Praxis direct mount crankset. The stock WTB 29×2.0 tires were too narrow for our liking, so we swapped on a pair of Teravail Sparwood 2.2s. The Airborne Goblin 29 is dependable, fun, and affordable. Why not put the total weight instead of talking about heavy components ? So what is the total weight ? And those Race/Shred wheels … please publish ! The geo is long overdue an update. But Airborne does nothing. 148 rear with space for 2.6 x29 tires and a Boost fork along with the slacker ht> update. Then it would be a good value with some wide rim wheels. What do these guys do all day?